I think if you read the consultations the explanation is reasonable. The 388 is currently unreliable between E&C and Blackfriars, therefore cut that leg to allow the busy section (Liverpool Street - Bethnal Green). I can imagine it is very annoying for those that have found the new links provided across the City beneficial. I have been on a peak 388 from E&C to Stratford City and there were no snags on my journey it was also very busy along the Blackfriars Road throught Liverpool Street. Not an error, but the medium term plan. This is why they are renumbering the N11. There will be a report on BBC London News at 6.30. This made me chuckle a bit "TfL has faced criticism for this being nothing more than a cost cutting measure" as if there was any doubt. Just been on. Apparently according to my old chum Geoff Hobbs you can only have buses if they well filled and "justified". On that basis an awful lot of services are for the chop then because how do you justify evening services in large parts of London? How do you justify running contra peak buses? That sort of argument is harking back to the utter clap trap that Nicholas Ridley used to spout prior to bus deregulation in 1986. The irony, of course, is that most of the buses they showed had decent numbers of passengers on - a 388 loading up near Elephant with lots getting on, a decently loaded 171 at Aldwych and a number 4 at Aldwych with reasonable numbers. Also a 48 with plenty of people on it. It's just utter illiterate drivel - it is ALL about saving money. There is nothing in the technical note, apart from the route 9 rerouting, that talks about making buses better and thus earning more money because people actually think they are the best option. The other really, really annoying thing TfL have done is use their "this is the busiest section of route" thing and then use that to justify making cuts elsewhere. Take the 134 cut - apparently axeing it below Warren St is justified because the route only needs 10 buses per hour in Highgate and, oh, the route needs to be resilient. Why? This is the logical argument of a moron. 123 - packed, 243 - packed, 123 - packed, 149 - packed, 318 - packed, 259 - packed, 279 - packed, 349 - packed, 230 - packed. I've actually seen several very busy route 230s today - looks like frequency cut may not have been the best idea. But, you know, no one uses buses do they? There weren't people going home from the shops, parents picking their kids up from school, kids going to after school activities, people going home from work. Nope they weren't there at all. I was clearly suffering some sort of delusional trance. Watching the report did give me a bit of a flashback to those mid 80s days of watching Thames News shortly after LRT was created. There would regularly be lists of routes up on screen which were about to be cut. I think the thing that saddens me more than anything is the positioning of the bus as the villain of the piece - congesting and polluting the city. We all knew this was coming, and after sitting on a 9 for an hour between Trafalgar Square and Kensington recently, because of traffic, the mayor needs can pat himself on the back. Because Central London is the slowest I can ever remember. Had to laugh at those who think the changes aren’t too bad - glad your not on low wage having to commute into Central London! I noticed there is a section on the vulnerable, but not sure low paid are deemed vulnerable. It was so much easier in the 1950s when the City Corporation decided to build the huge Barbican estate for the workers and cleaners of the City so they didn’t have to commute. 343 to Aldgate? The 343 is dead from Elephant & Castle to Ciry Hall. So use the 343 to compensate the 40? What were they thinking. The 311 is just an excuse to use another route number. Pointless split the 11 is now just a shadow. 53 to County Hall is awful. The 73 & 476 May as well be 1 route. And I have to laugh at those who talk about buses as though they are some sort of enthusiasts play thing. Do they really not see the amount of under utilised buses in Central London? 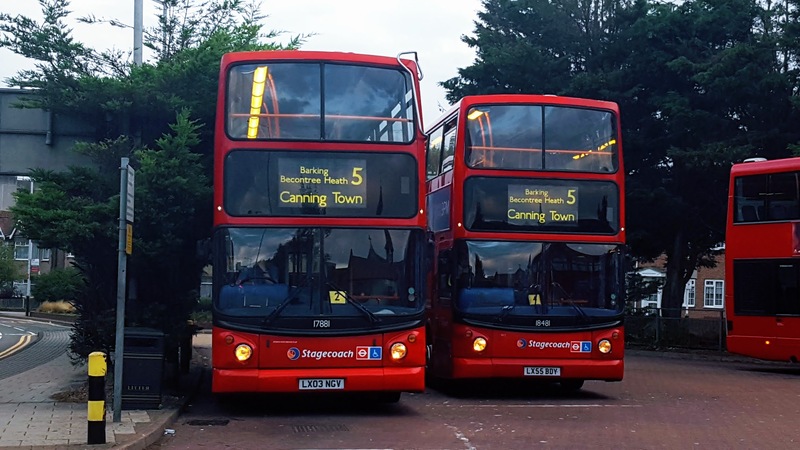 I'd actually be more concerned about the 468 reduction happening tomorrow and the effect that is going to have at the Croydon end whilst the other end of the route remains over bussed, you couldn't make it up! In the past the 468 would have had some daytime short workings from South Croydon to West Norwood to reflect the solo section. More garbage from the consultation technical note. The 242 is being diverted to Aldgate. How can TfL be adding a peak time bus from Liverpool St? This is a nonsense. The 242 currently runs every 10 mins evenings and Sundays. TfL apparently believe it runs every 6 minutes. This is just shambolic stuff. How are the public supposed to respond to such a badly written, inaccurate document? Is there no-one actually in charge of this process who has required that it all gets properly checked before it is put in front of the public? Garbage in, garbage out. I suspect the answer to your last question is straightforward - no. It's actually a disgrace, and that's not a term I over-use.